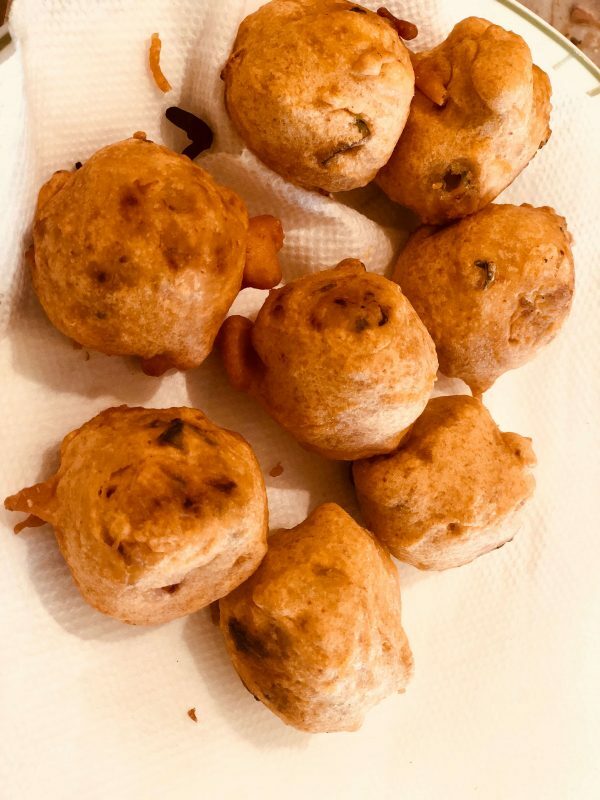 Bonda is a south Indian delicacy where urad dal batter or spiced vegetable mix is coated in a chickpea flour batter and deep fried. It's ideal for an afternoon tea. 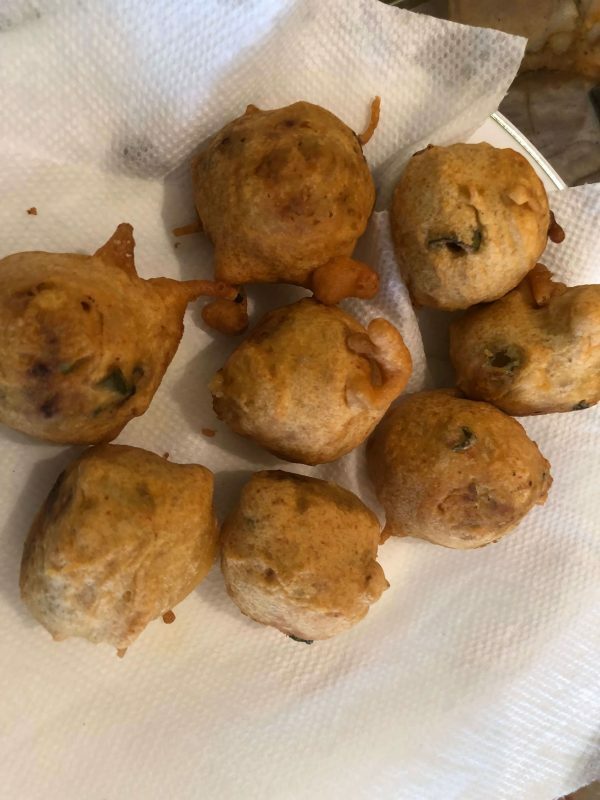 There is the plain bonda/mysore bonda which is made with an urad dal batter spiced up with pepper, coconut, and cumin seeds. 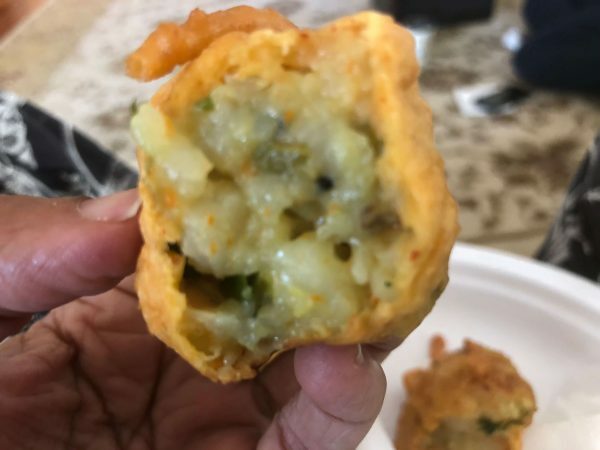 Then there is the filled bonda which is where today's recipe comes in - it has an outer covering made of a chickpea flour/rice flour batter, into which boiled and spiced up veggies (primarily potatoes, and optionally mixed vegetables) are dipped in, and then deep fried. They are all deep fried. It can be served with a chutney such as coconut or peanut chutney. Or just by itself, as it's spicy enough. Have it with a cup of coffee or tea on a rainy day to perk you up. I made these beauties for game day this weekend for the Jags playoff game. They lost, but the snack was a win! Make a batter with the chick pea flour, rice flour, salt, hing and chili powder by adding water a little at a time. The consistency should be like dosa batter. This will be used as the outer cover. Set aside. Heat a couple of spoons of oil in a pan/kadai/vaanali. 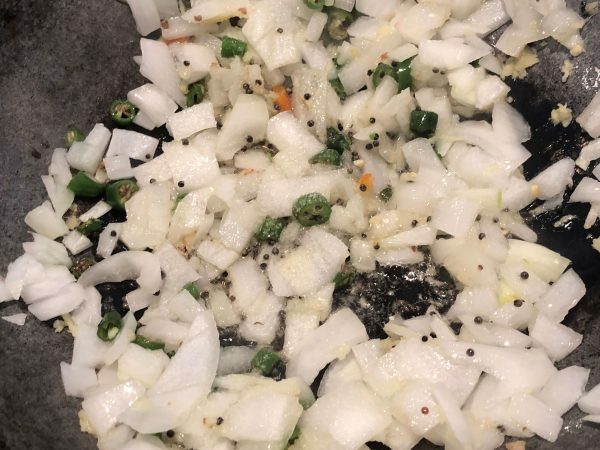 When hot, splutter the mustard seeds, and add the urad dal and brown them. Add the onions, ginger, and chilies and saute for a few minutes, adding a pinch of salt to the onion mix. The onions should turn translucent. Crumble the potatoes, add to the pan. 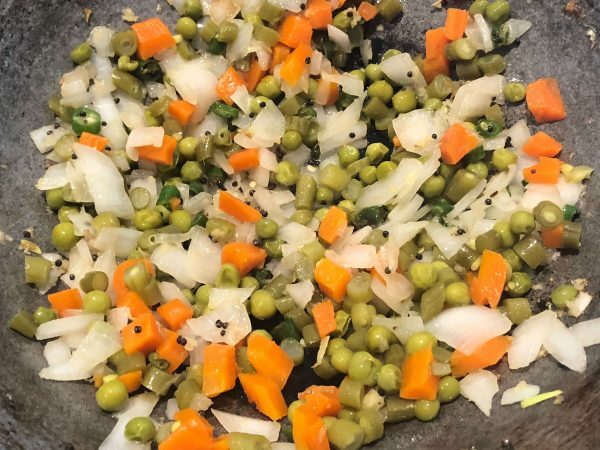 Add the boiled mixed vegetables and remaining salt, and cook everything together. Mash everything together, and transfer to a bowl. Drizzle with lime/lemon juice and mix. Taste for salt and adjust. Cool the mixture, and make into small roundels about the size of key limes, and keep on a plate. Now we are ready to fry these puppies. Heat the two cups of oil in a not too shallow, wide enough (about 8 inches wide) pan. 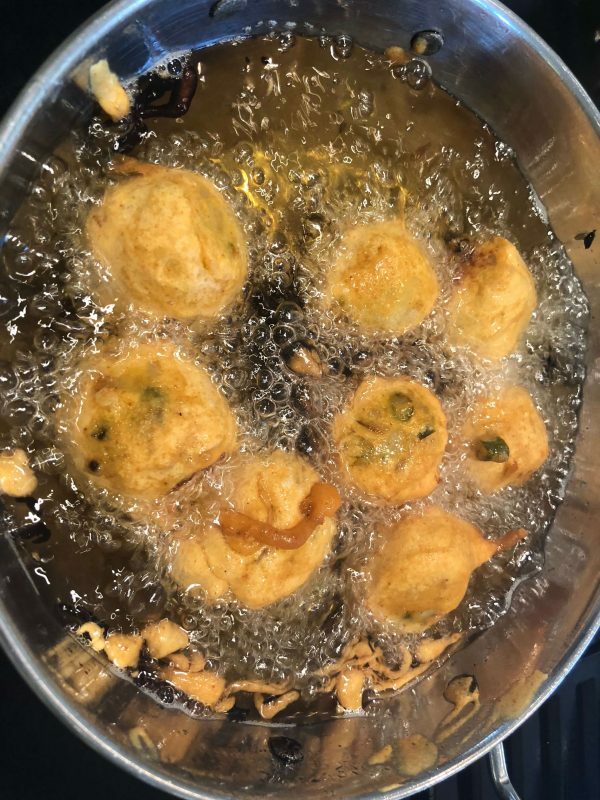 The oil should be deep enough to completely submerge the bondas. Test the oil by dropping a tiny bit of the batter in it. If it sizzles and floats right up, it's ready. Don't get the oil smoking hot. Now, take each of the filling roundels, dip in the batter, making sure it's completely coated, and drop into the hot oil gently. I fried about 8 at a time. Don't crowd the pan. When you drop them in, bubbles will form around the bondas. 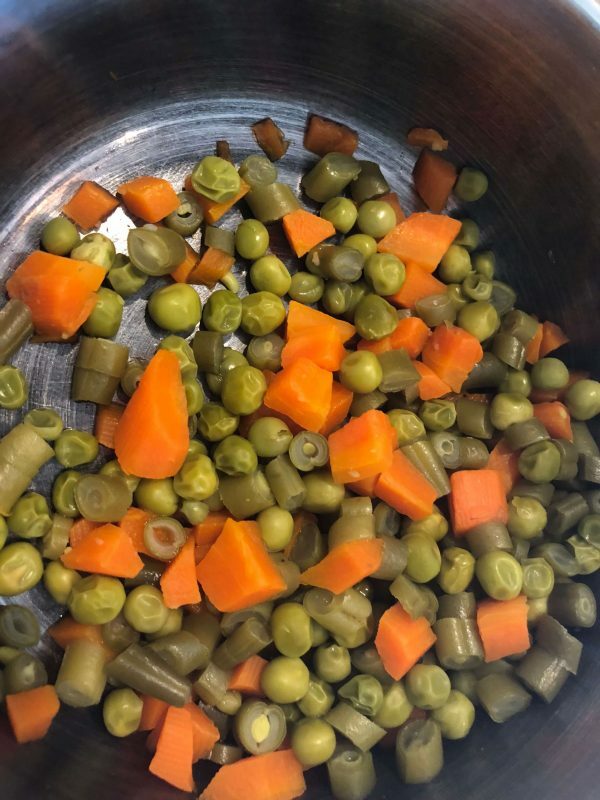 Flip them gently to evenly cook them on all sides, after about a minute or two. If you don't flip them, the bottom might over cook and get dark in spots. The bondas are done when the bubbles calm down, and the bondas are evenly golden in color. 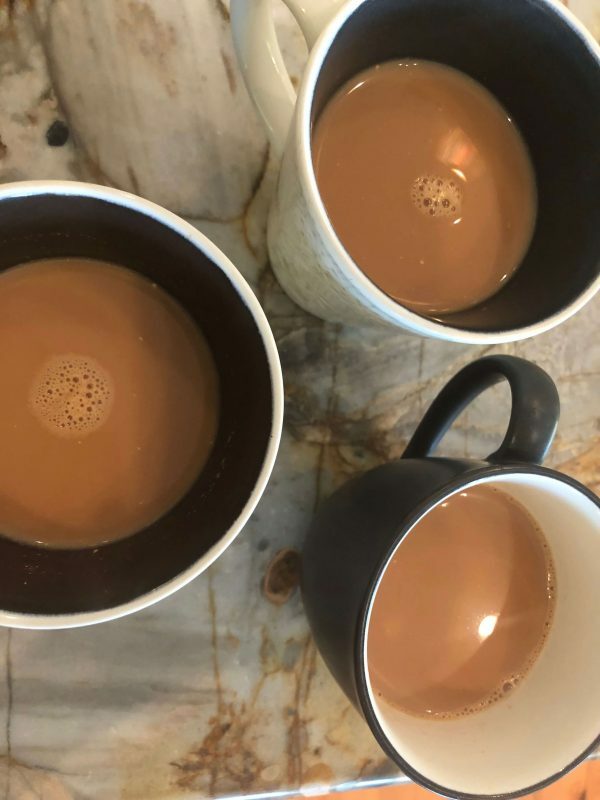 Drain the excess oil on paper towels, and serve hot with a hot cup of ginger chai/coffee and your preferred condiments (ketchup, chili sauce, chutney). We had them as they were and they were gone within minutes. Volume 1 of Samaithu Par (Cook And See) by Meenakshi Ammal. My dog-eared copy is one of my most valued treasures and I still refer to her books after 27 years! 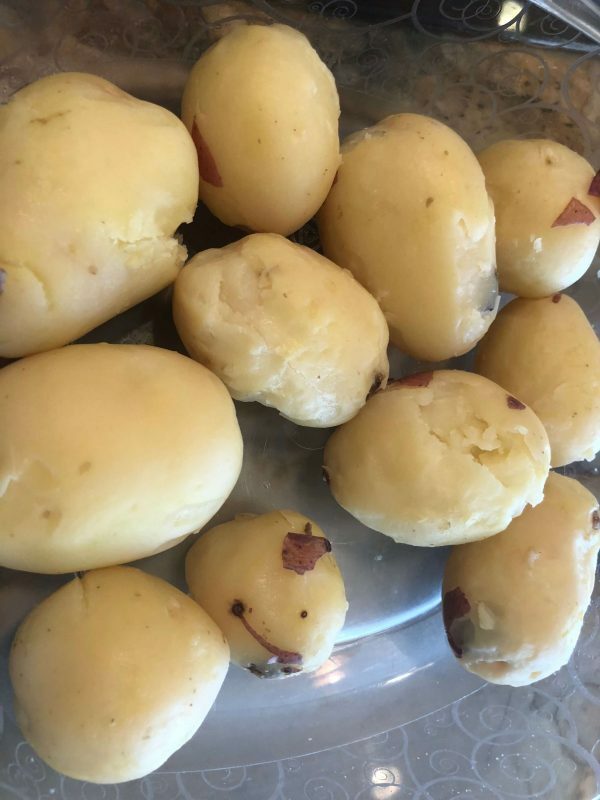 I used about 10 small potatoes, and got roughly petite bondas. We felt this size was perfect for them. You can make them bigger, but these were fun-sized. The batter should be neither too thin (won't coat properly), nor too thick (you'll get a heavy outer cover which will make the stuffing taste underwhelming). Add water little by little when making the batter. You can reduce the chili powder in the batter if you want a milder blander cover. These make a great party snack, and aren't too difficult to make. Have fun, eat them hot! 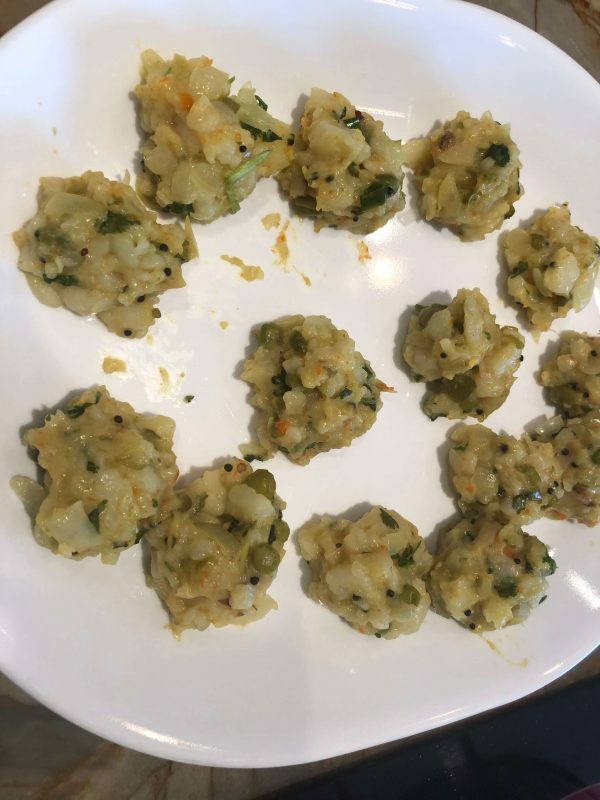 The same filling, if made a little less dry and more like a semi-solid, can play the role of masala filling for dosa, and masala accompaniment for pooris!